There are myriad of options nowadays in the watch market, drowning consumers like yourself with information overload. With brands covering every possible price-point, it can be quite intimidating for a novice watch enthusiast to get their feet wet into the foray. It’s also more complicated nowadays, with certain brands being owned by a conglomerate, making a fleet of 6-7 brands, basically owned by one company. So it’s best to be educated so you don’t bring a knife to a gunfight. This is where the crew at Gracious Watch come in. First of all, we thank you for taking the time checking us out and to help you get through that feeling of overwhelmedness that comes with buying a watch. It shouldn’t be the case so let’s get through it together. It should be a fun, educated, and entertaining part of your day. No peer pressure and no shady sales tactics. It’s all about knowing what you want, and getting it. So take a breather, maybe grab a plate of your favorite snack and let’s explore what the world has to offer, side-by-side, hand-in-hand. So with entry-level watches, these are usually $500 or less, and to the novice enthusiast, you’ll be inclined to believe that no watch is worth your time for $500 or less. We are firm believers in buying the best watch you can afford, and not be influenced by people who immediately discount entry-level brands. So we’re here to give you an idea of what watches are being offered in this price range, the best brands we think within this realm, and what watches are available for you to consider. Remember how we mentioned earlier how conglomerates exist today in the watch world? It exists everywhere! Some focus on their bread-and-butter products to offset the costs of producing experimental, innovative, and future-forward pieces, which usually involves a lot of research and development. In the automotive world, BMW focuses on their 3-series a lot because it’s their best selling model, and it’s what everyone knows them for. The other thing that they’re known for? M models like the M3, M5… Those models are limited in production and require deeper pockets to end up in your garage. Basically untouchable by the majority of BMW owners but their 3-series is serving their purpose, fuelling the innovation required to get the M-Division afloat, while getting the mystique of being a ‘driver’s car’ solely set by the M-Division and let that aura trickle down to the rest of the model lineup. It’s a great example of symbiosis and we have one brand that lives and breathes that same methodology. First up is Japanese watchmaker, Seiko. The heavyweight has now merged with printing manufacturer, Epson, to build Seiko Epson Japan. The company creates various watches in all price-points, with their Grand Seiko lineup at the top of the chain- these pieces possess painstaking amounts to detail and are crafted to highest standards. 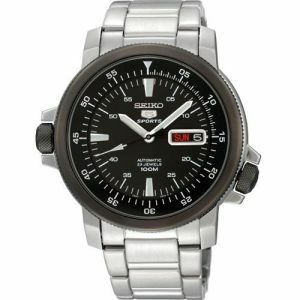 All these watches possess one trait that Seiko is known for, reliability and longevity at great prices. While Grand Seiko may be encased in platinum, or have the more advanced technology to run the pieces, these traits of high-quality craftsmanship are still evident all over Seiko and trickle down to their entry-level model line: Seiko 5. Built on 5 key principles that must be met before being released for production, Seiko 5 have the same reliability and durability at a more affordable price. It’s also a great entry-level watch if you’re looking for an automatic movement, which is a must for any watch enthusiast. With those traits in mind, it’s no wonder why the Seiko 5 is a popular choice amongst watch enthusiasts as an affordable ‘everyday’ watch to have around. With the durability of Seiko movements and the added bonus of getting an automatic movement for a great price, provides value for the money. The day/date are value-added features and the water resistance just solidifies how reliable these watches are when put to the elements. ‘Value’ is all about what you prefer the most and how you rank these traits and if the following criteria resonate with you, then Seiko 5 should be part of your shopping list. A quick glance of Orient lineup shows bold bezels, unconventional sub-dial placement, and a place to experiment with style taking a higher priority than functionality. Orient is focused on pushing the boundaries of what is seen as a ‘wristwatch’ and their product lineup speaks a lot about their vision. However, they do have some conservative pieces but with bolder watch faces to keep in-line with that vision so it’s a hodgepodge of design. Our good friends at WatchesYouCanAfford.com reviewed the Orient Leo and the Bambino– both worth looking at. Without taking up too much time on the WYCA review, they laid out our observations to a tee: bold configurations, uncharacteristic sub-dial design, and very individualistic pieces. The model range can start from $100 all the way up to $5,000 but expect the same quality all throughout. One thing that is noticeable is that the quality assurance is not as well-defined as Seiko, but could that be because they’re still independent? They’re not watches that disintegrate when you sneeze, but just the minor details that WYCA mentioned kind of stand out. So there are ups and downs within this price range, so just be educated and be on the lookout for things that you otherwise would overlook. While that may be the case, we shouldn’t overlook Orient and what they have to offer on the playing field. It’s just a part of providing timepieces within a certain price range, and some aspects may be overlooked such as fit and finish. Surprisingly enough, we find Seiko to be different, but to begin with, the finish isn’t a concern in the Seiko 5, so maybe it’s expectations set by the brand? What do you think? We’d like to hear from you on that aspect. 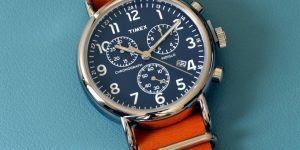 To differentiate from the crowd, we have an American brand that also has a wide portfolio range to cover various price points: Timex. 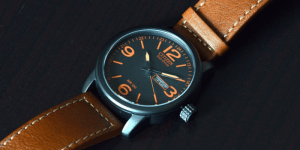 With over a hundred iof years of watchmaking experience, Timex has a colorful history first starting out within military applications, and growing to become a mass-producer of affordable quartz timepieces. For many years, they have gathered licensing rights of luxury brand names to make their branded timepieces, including Valentino, Salvatore Ferragamo, and Versace. They also have technological pieces focused on athletes and active living such as the Ironman line, or the Expedition collection. One piece, in particular, stood out for us and that is the Timex Weekender Chronograph. An in-depth review is available here, and the good choice of polished steel round casing, with a contrasting motif, really sets the tone for this piece. It can be as functional as it is elegant. I wouldn’t see this as ‘out of place’ with a business casual attire, and would elevate any casual outfit you’ll have on. It has a great design but nothing too crazy or ‘fashion-forward’, but rather a nice blend of good aesthetics and environmental awareness, with the latter focusing on modern tastes. The Weekender Chronograph provides any enthusiast a good compromise between a well-executed piece at a more-than-fair price tag. With the entry-level saturated with various timepieces, one brand has created a conglomerate of brands, that has captured the minds (and wallets) of every consumer out there. Built out of necessity, Swatch grew from a solitary brand to a force to be reckoned with, having multiple brands under their group, The Swatch Group. 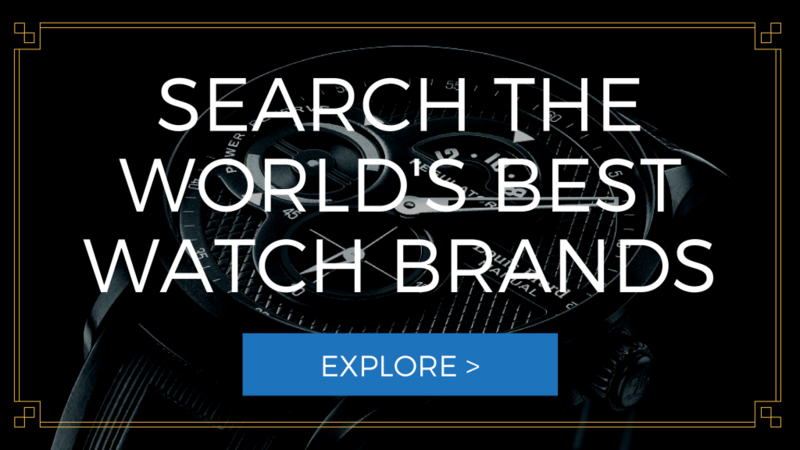 With an extensive budget focused on being the top brands in the market today, The Swatch Group is determined to be known as the benchmark of watches in terms of brand, technology, and marketing with the namesake brand covering the entry-level market. 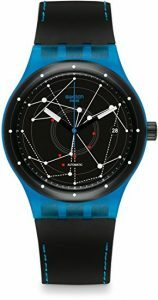 Swatch’s main focus is to target kids and the teenage market (16 – 24 years old), by focusing their efforts on affordable, fashion-forward timepieces that are accessible by various retail verticals, online and otherwise. The best way to execute this successfully is to utilize lots of color in their design, and to use plastics and rubber for their most popular lineup such as the Skin collection. However, Swatch also utilizes metals in their Irony collection to cover all discerning tastes. Various collections cover the entry-level market and it would be hard to not find a Swatch watch that you wouldn’t like. Our personal selection has to be the Sistem51. In fact, we love it so much that it’s part of our 7 Picks of Affordable Watches! The key thing about this particular watch collection is to offer an affordable watch but with a mechanical system. The neat part was that Swatch was able to successfully achieve this goal by creating a movement consisting of 51 moving parts. With a 90- hour power reserve and being able to choose various, funky designs, then the world’s your oyster with this particular collection to get that balance of affordability with fine craftsmanship. A Japanese powerhouse, Citizen has created a brand that plans to disrupt the market by providing innovative timepieces that can compete with the heavyweights like Seiko 5, or Timex Weekender. They also have mid-tier pieces as well, but they are great entry-level watches offering examples for about $200 range. They have great collections that will give entry-level brands a run for their money, as Citizen has various technologies in play that puts them at an advantage against the competition. 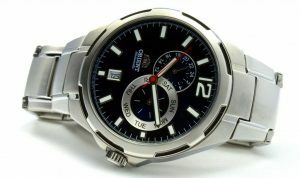 One particular technology that Citizen is known for is Eco-Drive. The way it works is these watches harness the power of light to run the watch and to power the battery within it. It uses the watch dial as a receptor to absorb light and charge the rechargeable battery, creating a reusable power cycle for the wearer. While the Eco-Drive technology is available in various Citizen watches, our great pick has to be the BM8475-26E. Our partners at WatchesYouCanAfford has created a detailed review here, but the gist of it is that it is a beautiful, very modern timepiece and available for less than $175. With more features, the price goes up but for a great daily watch that has great technology running it, it’s great value for the money. As we move up in tiers, the prices go up. The mid-tier brands focus on anything between $500 – $1000, which is where their most popular timepieces lie within. It’s this range where the fit and finish steps up a bit, quartz movement is much less common, and automatic movements become slightly more complex. Features also are elevated; specifically, water resistance. Most brands of this caliber can provide water resistance of a minimum, 100m, especially if they’re sport-focused or have associations with active lifestyles (like diving). While we love Japanese movements and what they have done for the watch industry, the Swiss are still known for providing great timepieces with elegant styling. Expectations and standards go up with the price tag and few flaws should be tolerated in this price range. You worked hard for that money, and you want the best that your money can get. Rightfully so, and this is where details should be paid more attention to. If you see a dial crooked, or something isn’t as finished, or certain finishes don’t look sharp… It’s hard to explain but if something doesn’t look right, just walk away. While nothing is a guarantee, watches in this price range are subject to stricter quality assurance so the error rate is significantly less than our entry-level counterparts. So what can we expect for $500 – $1000? Here’s the fun part. With historical ties to the American railroad, Hamilton is known for pioneering watchmaking in America. Not only it helped the trains arrive on-time, but also helped the fight in World War II, focusing on serving military requirements for wristwatches during wartime. Hamilton was also known for being a popular watch to movie stars and famous entertainers. Elvis Presley was seen wearing a Hamilton Ventura in the movie, Blue Hawaii, which was the world’s first electric wristwatch. Hamilton continued to produce stellar timepieces until stiff competition coming from the emerging Japanese market and several company movements turned Hamilton from an independent firm into being a part of a brand portfolio under the world’s largest wristwatch company, The Swatch Group. Today, Hamilton is part of over 20 brands to capture the hearts of enthusiasts like you and me. 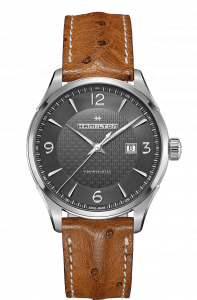 While owned by a Swiss conglomerate, the Hamilton design philosophy is to embrace their American upbringing and the heritage that comes with it. That means an homage to art deco movement, traditional model names like ‘Jazzmaster’, and focusing on classic motifs for the majority of their lineup. With various selections available, the Viewmatic Auto is a great selection from Hamilton. Featuring an H-10 automatic movement and a dressy, elegant, multi-textured face design, it’s a unique option to add to a dressy watch collection. It’s not as versatile in terms of value-added features and water resistance, but more focused on design and classic, simple motif. At 44mm, it’s a big watch and needs a lot of wrist presence to make it yours and can be an entry to what upscale market has to offer to the consumer. The polished steel case with a minimalist design are positives for what would be a great watch to have in your collection. 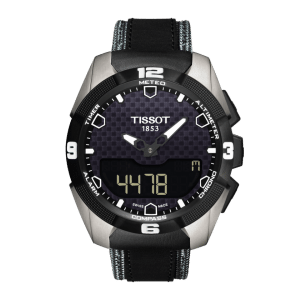 Tissot is another brand part of the Swatch Group portfolio, meant to capture the hearts of the active watch enthusiast. While they do have storied traditions in Switzerland, their main focus is being an official timekeeper for sporting events such as the NBA, the Fencing World Championships, and are heavily involved in sporting contributions such as a major sponsor of the Swiss National Team. With Tissot playing a big part in sporting events and sports in general, their watch lineup reflects a lot about what they believe in and what they’re focused on: Active living. 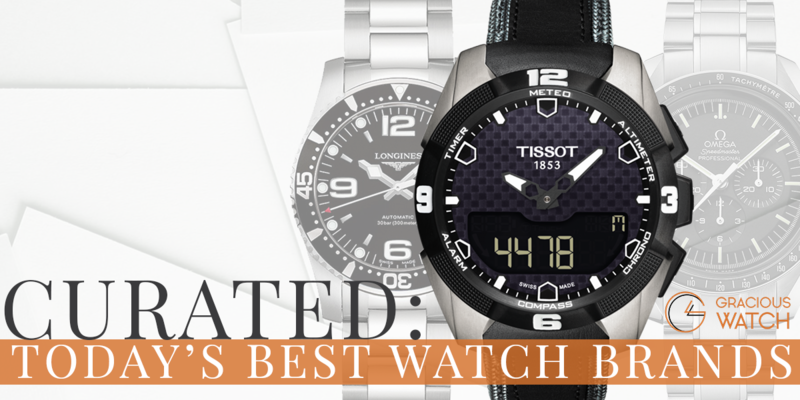 Tissot has various watches in their lineup but a prominent watch in their collection is the T.Touch Expert Solar. It’s a great piece for the active watch enthusiast, which features 100m water resistance, a chronograph, an altimeter, meteo, compass, regatta, countdown timer, chrono split and lap (logbook), 2 alarms, backlight, second time zone, perpetual calendar with day and week indicator, accumulator charge indicator. The best part is that the T.Touch Expert Solar, as the name suggests, is a tactile watch with solar functionality, which is a technological marvel on its own. Each functionality has a specific tactile spot within the bezel, giving the user quick access to any feature he or she wants while being energized by the sun. Whether you hike, or you like to go mountain climbing, this watch would be a suitable partner to your energetic lifestyle. Finally, a change of scenery with an independent company! 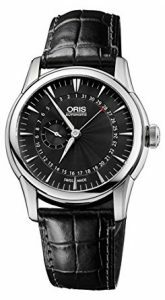 Founded in 1904, Oris is one of the few watchmakers left in the world that is independently owned or not part of a brand portfolio. This gave the company freedom to move about and create timepieces that spoke to them and catered to their loyal fans, and not dictated by market share and price points. They let the market dictate where they should stand, as what it should be. Their mantra is ‘Defining My Own Path, Going My Own Way’ and being independent helps them achieve that goal, day in and day out. Being a private firm gives you the option of trying out different tactics without answering to any executive board of directors, which is a nice way to try out new designs to the masses. One particular piece that caught our eye is the Artelier Pointer Date. With an automatic movement, and a specific pointer date complication all designed by Oris themselves, it provides you with an opportunity to own something different and unique. While the other brands we talked about have different motifs, their insides are essentially the same ETA movements owned by The Swatch Group. Owning an Oris piece is owning a piece of their company and what they stand for. You are a supporter of the independent movement, and want to stand out from normality. If that’s more you, then Oris is the right watch for you. A Swiss brand who’s not afraid to push the boundaries on what can be done in a wristwatch, Rado is an innovative company that is always curious on what materials can be used to elevate their place in the market. A brand that innovated usage of exotic materials, Rado is known for taking advantage of ceramic technology to add into their watches either as a bezel, a bracelet, or both. The ceramic coating provides a scratch proof surface that is also resistant to color fade. What you bought in day one will look the same for many years after, which shows great value in your investment. With various collections in the brand, there’s a Rado that’s right for you. 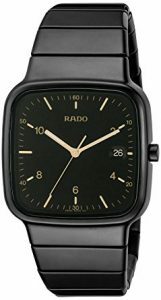 Our selection from Rado would be the R28888172, which is a square design that has a retro silhouette. With the usage of ceramic, it gives the wearer a deep black bracelet that will shine in any situation. With gold accent to soften the all-black motif, it provides a balancing contrast to give you a well-balanced view. With contrast hour markers to finish the watch design, it has a great visual impact, with a black dial and contrasting gold hands, and a date window at 3 o’clock. A square case gives the retro bracelet look, which makes it a classic nod to great days of the past. Another heavyweight within The Swatch Group conglomerate is the luxury brand, Longines. A Swiss brand built from the ground-up with heritage and craftsmanship in mind, Longines has been a world-renowned brand since the 1800s. 1878 gave the world a glimpse of chronograph technology with Longines developing the first simple chronograph movement, dubbed the 20H calibre. 1912 was also Longine’s time to shine, being involved in the first electromechanical sports timing in Basel. This association with sports timing became a norm with Longines, being a part of gymnastics, Formula One, and alpine skiing to name a few. When Longines was bought out by The Swatch Group in 1983, the brand positioning has been focused on capturing as much of the mid to upper-tier markets alongside Rado. 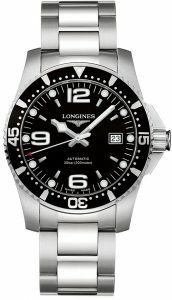 With Longines, our pick of the litter is the HydroConquest, which is a diver-dedicated timepiece. Featuring a quartz movement, the 39mm timepiece is quite adept at being a trusty, dependable watch. It has a stainless steel case, 300m water resistance, a rotating bezel for diving time tracking, and a sapphire crystal. The HydroConquest will be a great diving companion that has a legible, easy-to-read watch with white markers and contrasting black dial for an overall conservative silhouette. As we continue to move up the pricing ladder, we’re now hitting upper-tier sections of the watchmaking world and expect to pay more than $1,000 to have a quality piece on your wrist. The factory standards just went up exponentially, fit and finish are close to perfection, and now there’s an even stronger aura of sophistication and elegance involved. Even bystanders would be familiar with these brands as they symbolize luxury and upper-class riches, with a lifestyle of rich and famous that would make any person green with envy. If you can afford any of the watches we recommend, you’re in a great spot in life. Kudos to you. There are many brands to choose from but Gracious Watch carefully selected certain brands based on prestige, market offerings, resonance, and quality. One will definitely make you wonder and be opinionated about. That’s what we always aim for at Gracious Watch so if you have a comment, feel free to leave us a note and we’d love to chat. On with the show! Omega is a great luxury brand that is another pillar of The Swatch Group foundation. An integral part of TSG, Omega has great brand cache, capturing the hearts of many watch enthusiasts everywhere. Being worn by dignitaries and famous spies, Omega has been adorned by heavyweights such as former President John F. Kennedy, Prince William, and James Bond. Meanwhile, Omega has been at the forefront of watchmaking technology, introducing a mass-produced version of the coaxial escapement, creating a watch movement that reduces friction between components and with little lubrication, providing users with longer service intervals and consistency over time. This was a tough choice, but we had to pick the Speedmaster for this one. I mean, it was the watch that went to the Moon! There are various models to choose from but the original Speedmaster that’s available in the modern market today is the Speedmaster 42mm 311.30.42.30.01.006 with the 1863 Calibre movement. 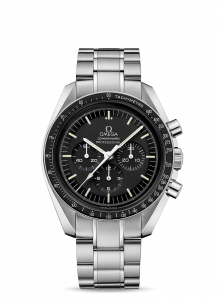 A legend on its own, the Speedmaster is a must-have for any watch aficionado. There are various vintage pieces available but those cost an arm and a leg, that comes with the complexity of maintaining a vintage piece. Just get the 42mm. Featuring a manual-wind chronograph with a 48-hour power reserve, it’s more than enough to satisfy your needs around the world and beyond. This one is a no-brainer. Rolex is the luxury watch brand that everyone and your dog will recognize. World-renowned as the Swiss watchmaker that everyone looks to beat, Rolex continues to elevate the bar to greater lengths and set a high standard of what traits quality watches should possess. Rolex also has a great history as being utilized as a tool, which is what wristwatches were before the advent of the smartphone. Wristwatches needed to be dependable and durable pieces so extensive stress testing went into Rolex watches to perform the way they do today. Nowadays Rolex watches are mere status symbols, but the quality and expectations are still higher than ever so you’ll get nothing but the best from them. With many iconic pieces from Rolex, the crew at Gracious Watch had issues on which one to pick. Eventually, we landed on the Rolex Explorer. Created after a historic climb to Mt. 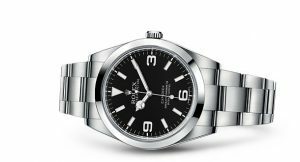 Everest, the Rolex Explorer became known as the watch for adventurous people with a sense of curiosity and a desire to be better than status quo. The Explorer has survived extensive stress testing and fought through prolonged exposure to the cold, harsh winds, and constant shock of climbing up the tallest mountain above sea level in the world. If it can survive what mother nature has to offer, it’s more than suitable for your daily life. Dubbed the ‘International Watch Company’, IWC is a haute Horlogerie brand that rubs elbows with the elite brands of the watchmaking industry. With such emphasis on traditionalism and heritage, IWC is hard at work keeping their prestige intact, being known as one of the world’s fine watchmakers. Our pick for IWC would be the Portuguese. 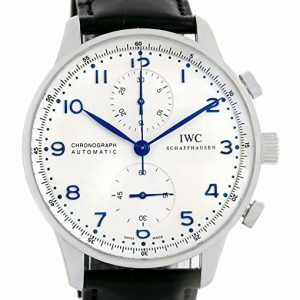 The quintessential example of fine watchmaking, the Portuguese is one of the classiest IWC watches available today. At 40mm, the self-winding chronograph has a muted silhouette, with a white dial, a steel case, and contrasting blue hands. With contrasting markers to offset the balance of a reserved style, the two sub-dials are blend in to keep the refinement at a high. It’s a great classic design that is recognizable throughout horology and we absolutely adore it. Rivalled by a handful of upper-tier watchmakers, Audemars Piguet remains an independent watchmaker that can only be attained by certain people. With a steep price tag and instant exclusivity, AP watches are known to be creators of very complicated movements in wristwatch market and are known to provide excellent pieces to whoever can afford them. With a desire to be different, the company created one of their hallmark pieces and with an iconic octagonal bezel in their lineup, the Royal Oak became their halo watch, instantly identifiable as an Audemars Piguet. 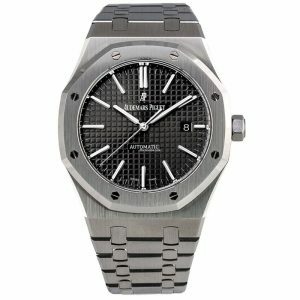 Built with an homage to nautical diving, the Royal Oak was concocted in the 1970’s to deter the emerging Japanese market creating the ‘quartz crisis.’ With an octagonal case with six exposed screws, the Royal Oak created controversy and heated discussions over their selection of an all-steel case construction when the luxury segment was focused on gold and platinum. The differentiation worked as not only it created buzz for the company, but the strength gave the Royal Oak the water resistance of 50m depth. Named after British warships, the Royal Oak was determined to go head-on and defeat adversity along the way. With that legendary status accompanying the watch, it cemented itself as one of the great watchmaking firms in the world. As you move up the scale in luxury watch markets, more complicated movements appear and a testament to human ingenuity. There have been a few manufacturers willing to push the boundaries of extensive research and development are required to successfully achieve a dependable product with the strictest quality held intact. Few watchmaking firms also focus on traditional, very complex movements like the tourbillon. 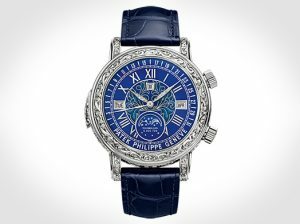 In fact, Patek Philippe holds the status as creating the most complicated pocket watch as the Patek Philippe Calibre 89 has “33 complications, using a total of 1728 parts. It was released in 1989 to commemorate the 150th anniversary of the company. The complications include the date of Easter, sidereal time, and a 2800-star celestial chart”. 33 features is a lot to put in a pocket watch and to make sure that all of them work in unison was impressive. One great watch complication we took an eye on is Sky Moon Tourbillon 6002G. Featuring 13 complications and two dials, enclosed in an engraved and elegant steel case, it has a tourbillon movement, which is a complicated movement on its own compared to automatic movements with just a flywheel. We personally love the tourbillon movement which is the entire movement within a rotating cage, sort of like a gyroscope. If that doesn’t impress you, I don’t know what will.